FRANCOIS XAVIER PROULX; was born February 26, 1854 in Wisconsin, and died April 08, 1914 in Clyde, Callahan, Texas. 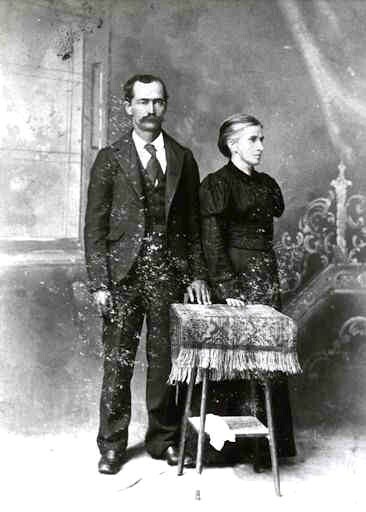 He married SUSAN FRANCIS POWERS November 09, 1880 in Prairie du Chien, Wisconsin, daughter of JOHN POWERS and LUCY DOYLE. She was born January 16, 1862 in Prairie du Chien, Wisconsin, and died March 06, 1940 in Clyde, Callahan, Texas. Francois Xavier Proulx moved to Texas in 1886 changed the spelling of his last name to Prew.